REBIRTH OF ECONOMIC & CULTURAL COMPLEX! Gateway to Daegu for MICE participants, the Dongdaegu train station and its surrounding area, will now be reformed into a high-class economic & cultural complex. Construction of ‘Dongdaegu Station Complex Transit Center’ is under accelerated phase to be completed by the second half of the year 2016. Designated as a national demonstration project in October 2010, Dongdaegu Station Complex Transit Center has been under construction in the vicinity of Sincheondong, Dong-gu, Daegu - where Dondaegu station and bus terminals are located - with 36,360㎡ land in size and 7 floors below ground ~ 9 floors above ground. Dongdaegu Station Complex Transit Center’s biggest role is to form a ‘metropolitan transportation hub’ to provide a nation-wide connection. This is possible due to assembly of public transportation to include KTX, subway, city/intercity/express bus, taxi, passenger car, and bicycle into one. 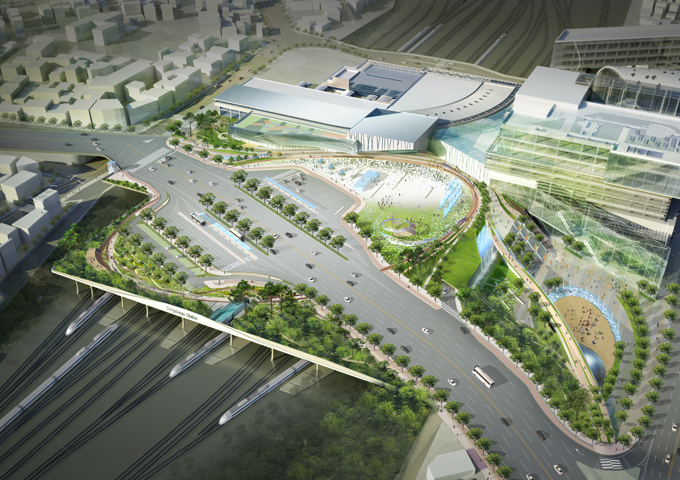 Gyeongbu train line and Daegu subway line 1 are not the only transportation that passes through this new complex, as Dongbu and Nambu bus terminals (two of four intercity bus terminals in Daegu) will also be integrated into the transfer center. The existing Dongdaegu Express Bus Terminal with which terminals are dispersed throughout the area depending on the destination and its servicing company (Hanjin, Geumho, Jungang, and Dongyang) will also be integrated into one single spot. This allows a one-stop transportation service which connects to Seoul, Busan, Gwangju, Daejeon, Ulsan, Incheon Airport, Yeongcheon, Gyeongju, Pohang, Uljin, Cheongdo, and Milyang. Each transportation media will connect with enhanced continuity to provide improved convenience for the passengers. Parking lots, pedestrian-friendly facilities, and transfer platforms will also be ready. Transfer center and 6 bus stations near Dongdaegu station will operate city bus that covers 23 routes. Taxi stop, bicycle stands, and other transfer facilities will be ready to ease access to city’s center. Dongdaegu Station Complex Transit Center changes more than just transportation in the area. Shopping center, movie theater, and theme park will also be made to make this place a cultural complex. Number 1 hotel chain in the world, hotel Marriott is under construction right across the street, while public organizations such as Daegu Techno Park, Daegu International Trade Center, and Daegu Chamber of Commerce & Industry are positioned along Dongdaegu street south of the transfer center, creating high expectations that the vicinity of Dongdaegu junction will be reborn as Daegu’s economic & cultural complex. Once completed next year, average floating population around this area is anticipated to double the current amount, 120,000 persons a day. 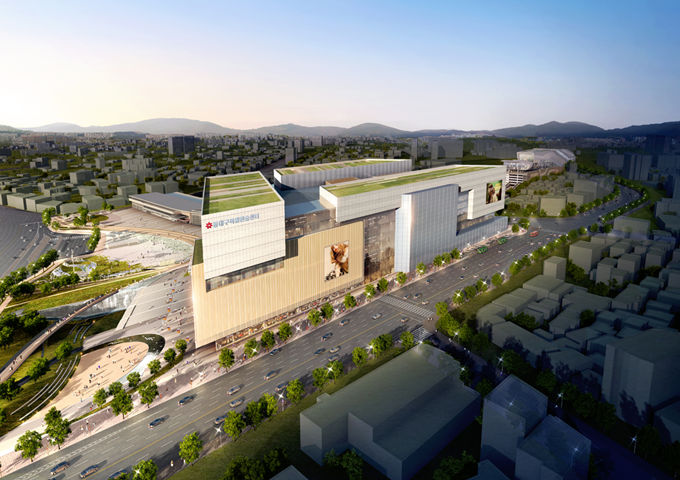 Connected to Daegu International Airport located within 10 minute driving distance (4km), MICE participants from around the world can stay and enjoy shopping at Daegu with great accessibility to other regions - Daegu is more than likely to grab more attention as an international level MICE hosting city.